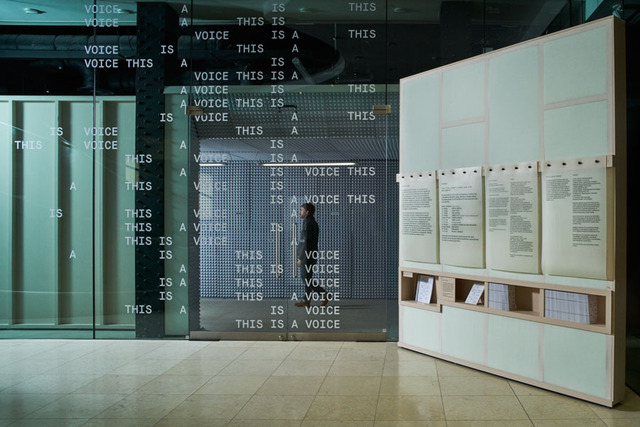 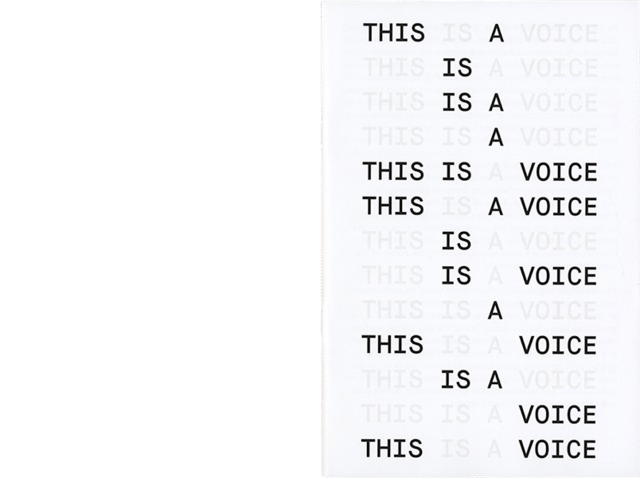 Exhibition graphics and gallery guide for This Is A Voice at the Wellcome Collection. 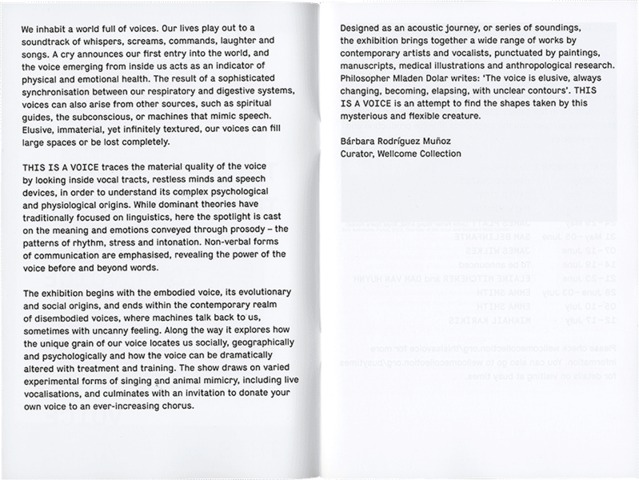 The exhibition focuses on the non-linguistic and experimental qualities of the voice represented through a variety of objects and artworks. 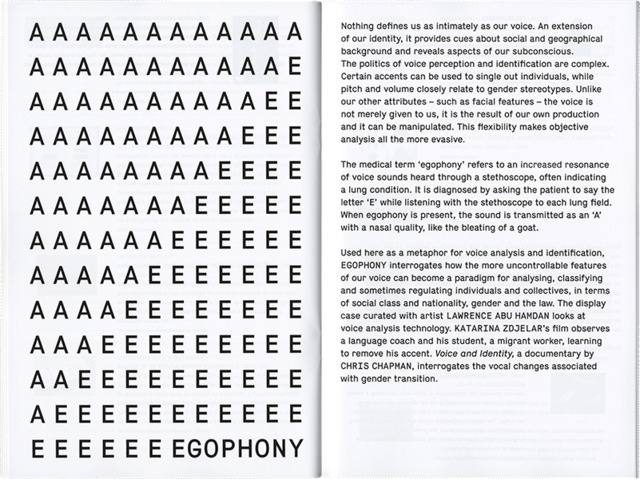 The title graphics were treated in a playful way – visually interpreting the theme of each section. 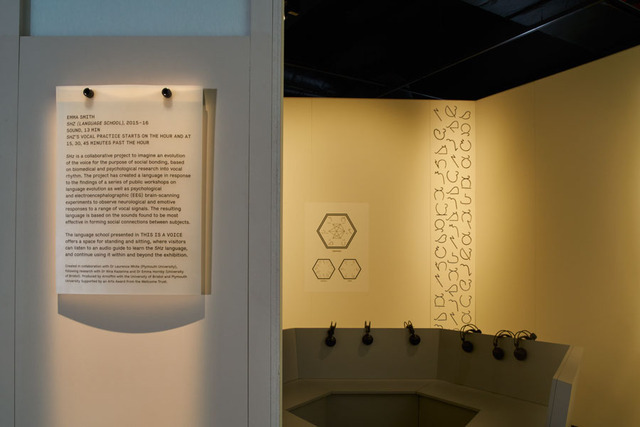 Working closely with the 3D designers, a pallet of tactile materials were developed to marry the graphic and built elements. 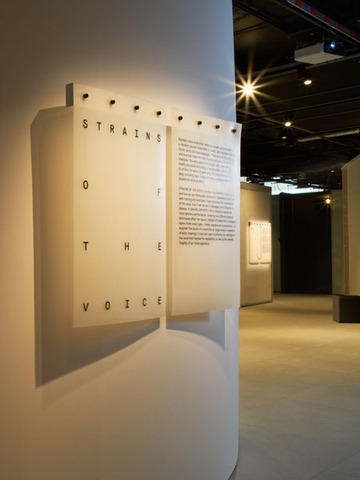 All text in the exhibition is printed on silicone – giving a fleshy layer on top of the exhibitions 3D skeleton. 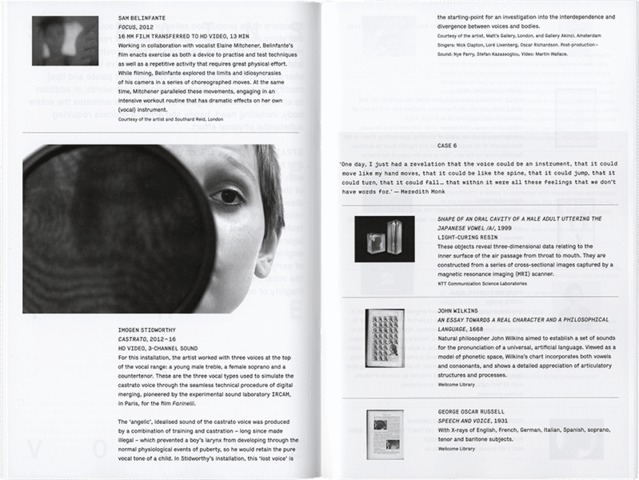 The gallery guide acts as an extended reader for the exhibition, offering more in-depth information on each of the works. 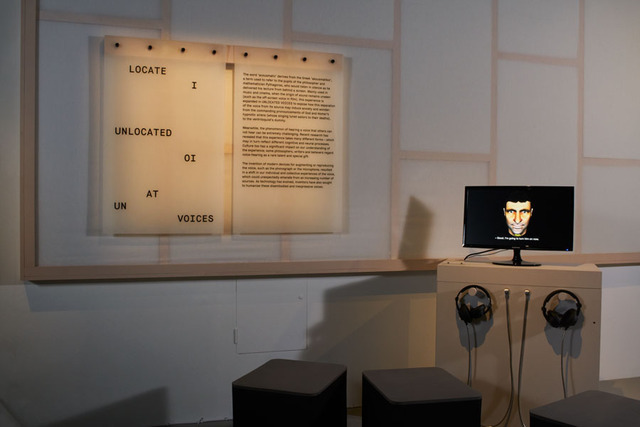 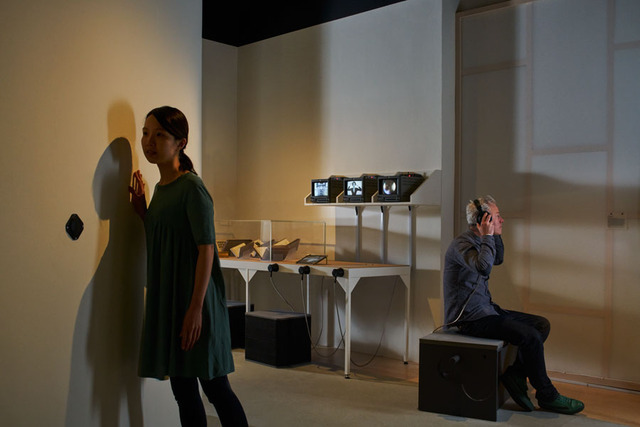 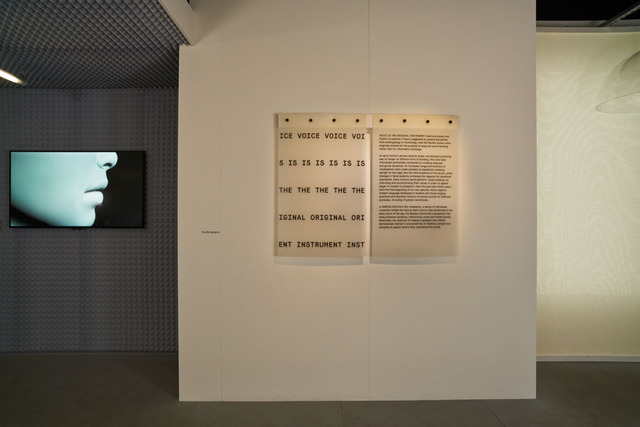 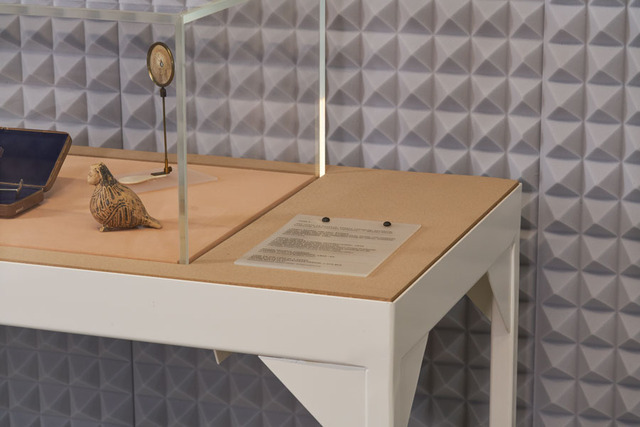 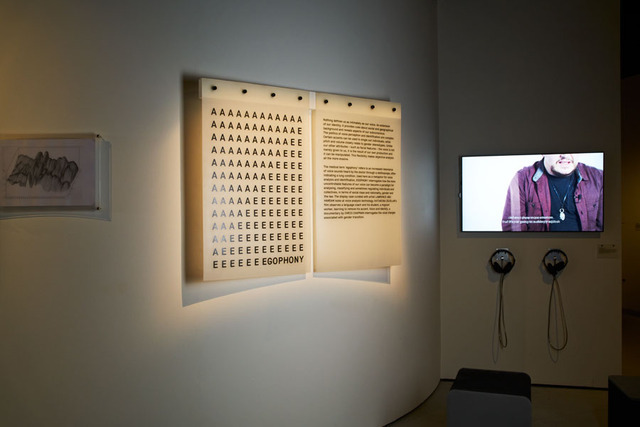 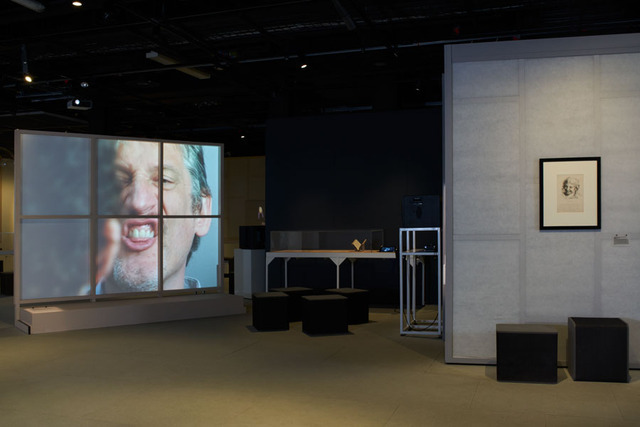 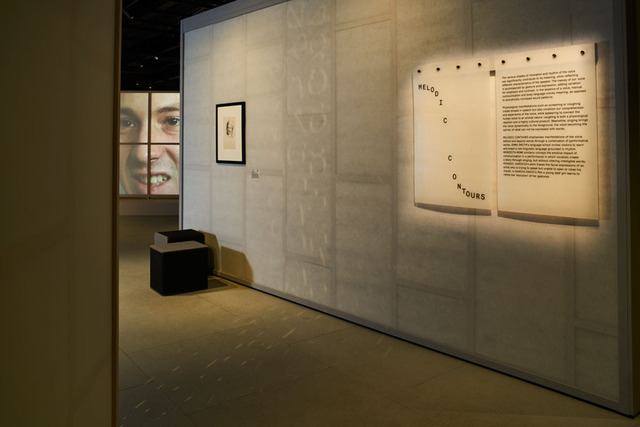 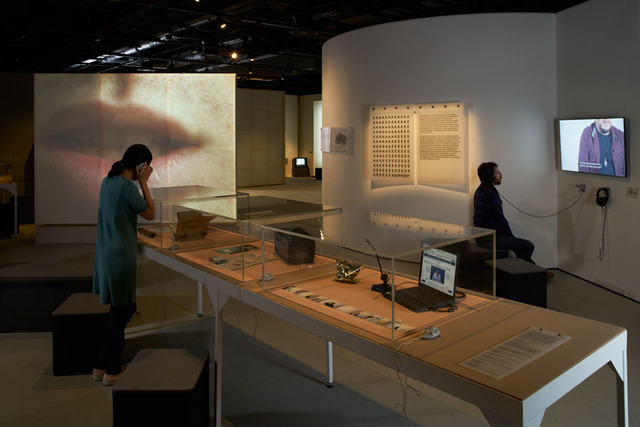 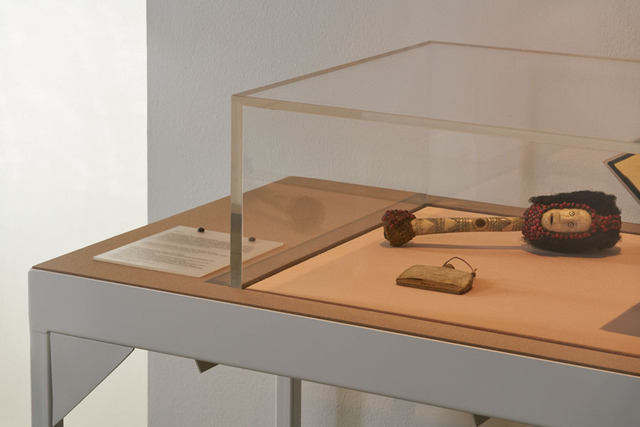 A second element of this project, was work exhibited for the Voice Hearing Project (14 April 2016 - 31 July 2016), also in the Wellcome Collection.